The future security website was created by Michael Collins of Collins Computer Services in Tipperary. Michael works with companies and businesses in many different industries, with the specific aims of sourcing new business and new leads online. Check out some of the clients that they are working with. Childrens Shoes Chicos and Chicas: A Childrens shoe shop based in Nenagh, owned by Marhta Leamy. Martha is an expert in children’s shoes and stocks a large range of brands as well as ballet shoes and Irish dancing shoes. Sports shoes Spira walking shoes are sports shoes with spings in the heels and shoes. These enable the wearer to walk easier and with more energy. B&B Portumna Arch House Portumna is a restaurant, bistro and Bed & Breakfast based in Galway. Historical Society Silvermines Historical Society is a group of people who publish local history books about the parish of Silvermines, Co. Tipperary and the surrounding area. Gardening Hester Forde is a well known gardener in Co. Cork and this website showcases her beautiful garden. Flowers Field of blooms is a business owned by Guy de Schryver which is based on the growing and selling of Hellebores and Snowdrops. Cookery School Fiacri house is a cookery school and restaurant based in Knock, Roscrea, Co. Tipperary. B&B Killaloe Shannon Breeze B&B offer Bed and breakfast accommodation in Ballina/ Killaloe, Co. Tipperary. Hunting The Illaunmore pheasant shoot is a unique driven shoot on an island in Lough Derg. Pharmacy in Nenagh Guerins Pharmacy have been in business in Nenagh for over fifty years and are a mainstay of business life in North Tipperary. Fishing Fishing For Kids is a business that teaches children the basics of fishing from boats in lough Derg. BMW Specialists Clondrinagh Motor Centre is a garage in Limerick that specialises in German car diagnostics. Stone Mason Joe Costello is a stone mason in Limerick who specialises in the renovation of heritage buildings and churches. Construction: John Young and Son are a construction company based near Nenagh, Co. Tipperary. Driving School: John McGrath is an approved driving instructor based near Thurles in Co.Tipperary. specialises in Eco driving and defensive driving. ATech Pest Control is a pest control company that operates allover Ireland. Silvermines Cottages is a self catering accommodation business based in the mining village of Silvermines, Co. Tipperary. The Escape to Lough Derg is a self catering business with 3 individual cottages, based in Garrykennedy, Co. Tipperary. The Stapleton Mouldings is coving and moulding expert who renovate old churches as well as working with new buildings. The Doves Dental surgery is an expert dentist surgery based in Nenagh, Co. Tipperary. 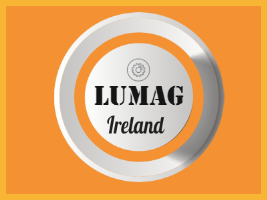 Lumag Ireland is landscape & construction distributer based in Nenagh, Co. Tipperary. They specialise in Firewood processing equipment. RDS Agri Services is a company based in Roscrea who specialise in the installation and commissioning of Robotic Milking Machines.